Despite significant political and cultural transformations since the Civil Rights movement and other social upheavals of the Sixties and Seventies, discrimination remains a problem. And while persistent inequities stem from a complex set of factors, digitally automated systems may be adding to these problems in new ways. From White House officials to civil rights advocates to “quants” and “techies,” many have begun to question the power of algorithmically driven systems to categorize, nudge, prime, and differentially treat people in ways that can exacerbate social, economic, and racial inequities. 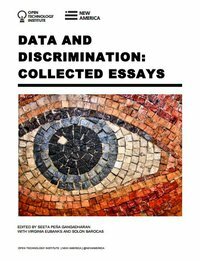 This collection of essays features contributions from eleven researchers addressing different facets of data-driven discrimination, including its political, social, and historical implications. The collection grows out of a research convening held by New America’s Open Technology Institute in May 2014.